Inclusions: fridge, stove, exhaust hood, built-in dishwasher, washer, dryer, newer electric light fixtures throughout incl. pendants, closet organizers and custom Hunter Douglas window coverings, custom built-in queen size Headboard in guest room with lighting. This sun-filled and spacious 930+ square foot corner suite located on the 14th floor offers spectacular panoramic south, east and west views of Lake Ontario & High Park! Elegantly upgraded 2 bedroom preferred split plan layout with 2 full baths! Superb High Park/Bloor West location just steps to the subway & High Park and an easy walk to all the fabulous shops & restaurants on Bloor West and Dundas West in the ultra cool Junction, or the trendy Roncesvalles Village. Upgraded kitchen is where everyone gathers. Great for entertaining when conversing with friends, and hosting gatherings next to large dining room for full size furniture. Expanded breakfast bar with upgraded sleek black granite counters! Custom pendant lighting, Blanco sink & Grohe faucets. Sparkling bright extra large living room plus rare separate dining area feature pristine wood floors! Freshly professionally painted throughout ready to move right in! Bright master bedroom with a luxurious 4 piece ensuite bath! Double closet with sliding doors, wood floors and a large picture window! The second bedroom is situated on the opposite side of the suite for privacy of visiting guests (or useful as a home office/roommate/children's room)! Custom built-in queen size headboard with custom lighting for 2, double closet with sliding doors, wood floors and a large window! Designer 3 piece guest bath off the front foyer with an enclosed shower is ideal for overnight visitors. Sliding glass doors walk-out to the completely private south & east facing balcony with serene views overlooking the Park & Lake! Separate foyer boasting with ceramic tiled floors, pot lighting & built in hooks plus closet is perfect for welcoming your guests! Large ensuite laundry with stackable washer & dryer are nicely tucked behind closed sliding double doors away -- quiet & away from the rest of the unit. Ownership of 1 underground parking spot and 1 storage locker! Convenient bike lock up area as well as plenty of visitor parking for all the residents to enjoy! 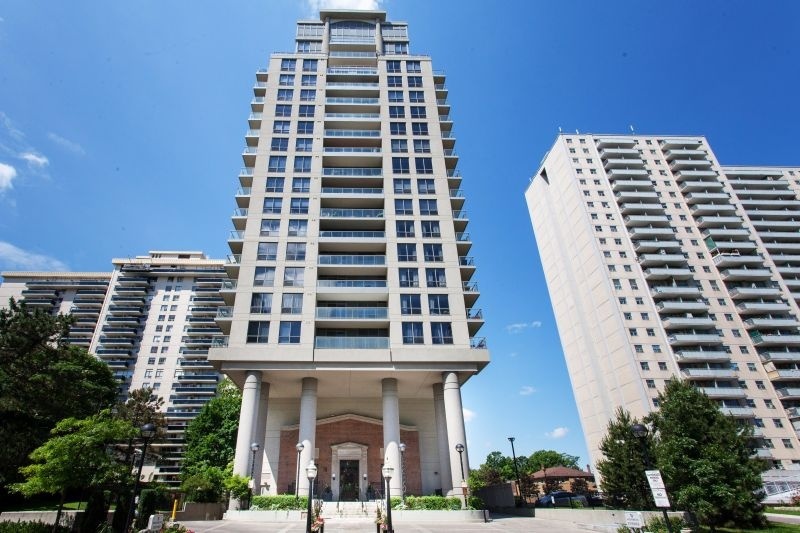 70 High Park is an architecturally striking Daniels building built over an historic church highlighting an Art Deco look & beautiful detailing including original columns and marble floors in the lobby. The current owner has enjoyed living in such a quiet, well-run building ~ a nice blend of friendly working professionals, families and retired empty nesters. A desirable combination of gracious treed neighbourhood, pizzazz & affordable maintenance fees allowing for care free living & easy budgeting! Half a block to Bloor Street West, High Park & High Park Subway Station. Adjacent to some of Toronto's most popular residential neighbourhoods - Bloor West Village, Roncesvalles & The Junction! The topography of the High Park neighbourhood features rolling hills, winding streets, and towering oak trees that enchant and delight all those who live here! Best known for one of Toronto's largest most popular parks! High Park & Grenadier Pond feature endless recreational activities including long off-leash dog walking trails, fishing, outdoor live amphitheatre performances, gardens, train rides, an animal zoo, historical exhibits, a restaurant, a regular farmer's market, Howard Park Tennis club. High Park's sports facilities include tennis, baseball, soccer, lawn bowling, swimming, and skating! Easy access to Lake Ontario & The Martin Goodman Trail and Lithuania Park. Bloor West Village is well known for its European cafes & specialty food shops offers a wide range of greengrocers, restaurants, boutiques and professional services. Walk to Roncesvalles for everything from hip restaurants, pubs, live music, Starbucks & independent coffee houses, Revue Cinema, to Loblaws, LCBO, Shoppers etc. The trendy Junction cafe's, indie shops, delicious restaurants and action are just up the street. Go green -- Mere steps to High Park subway station, with lots of TTC and public transit routes connecting to the Bloor-Danforth subway line (which also conveniently connects to the GO lines). Eco-option: bike downtown or around the neighbourhood, and leave the car at home! For convenience when driving it is a quick trip downtown via Gardiner/Lakeshore or out of town via Hwy 400 or QEW. Desirable neighbourhood schools attracts many families with school age children -- Keele St Jr PS, Runnymede Jr & Sr PS, Humberside Collegiate, Mountview Alternative Jr., High Park Alternative Jr. High Park Gardens Montessori School to name a few! 70 High Park Avenue is built over top an historic heritage church, making it one of the most distinctive residence in the High Park area. As one of the only condominium residences on High Park Avenue, it is also one of the area's most exclusive residences. The facade and lobby of 70 High Park Avenue was recognized and designated as a heritage property by the City of Toronto. Five star amenities include: Exercise room with elliptical machines, stationary bikes, treadmills and universal machine. Party room, billiards room, theatre room, visitor parking, separate bike lockup, plush landscaped patio with barbeque area, building security/safety supported by 24 hour surveillance, wheelchair accessible great for strollers too!